Have you ever tried to reach success but kept falling on your face again and again? Do you do date all the wrong people or find ways to chase the right ones away? Do you dream of more money, but cringe when you look at your bank account? Imagine if you could change all that with some simple techniques and have everything you’ve ever wanted. What if, by changing beliefs that you don’t even know you have, you could create magic in your life? 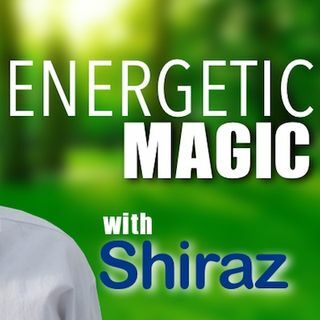 On Energetic Magic, Shiraz discusses the different ... Maggiori informazioni ways our belief systems, and the stories we tell ourselves, create the reality we live in. You will hear how people destroyed specific subconscious beliefs that resulted in them having better health, more fulfilling relationships, greater success, and yes, more money. During the show, Shiraz often works directly with callers to remove their limiting beliefs and, thus, change their realities. The results often appear as if by magic. Energetic Magic (47) Why we create stressful lives?